Huawei sub-brand Honor has launched a new budget smartphone in India in its Holly series, dubbed as Honor Holly 4. The phone comes in 3GB/32GB variant and is priced at Rs. 11,999. It will be available from offline stores across India starting from October 3 itself. The latest phone from Honor is the successor to last year’s Holly 3. The new Holly 4 comes with significant improvements. The smartphone’s highlights are its metallic design, fingerprint sensor, and a 13MP primary camera. Apart from this, it is running EMUI 5.1 based on Android 7.0 Nougat. If we talk about the display, Honor Holly 4 has a 5 inch HD (720×1280 pixels) display. The dual-SIM phone runs the company’s EMUI 5.1 operating system based on Android 7.0 Nougat. Speaking of the hardware, it is powered by an octa-core Qualcomm Snapdragon 430 SoC coupled with 3GB RAM. There is 32GB of inbuilt storage on the Honor Holly 4 which is expandable via microSD card up to 128GB. In the camera department, the smartphone sports a 13MP primary camera with a dual-LED flash and PDAF. At the front, it features a 5MP secondary camera. Beneath the rear camera, there is the fingerprint sensor as an additional, configurable key for shortcuts. Other sensors on board include an accelerometer, ambient light sensor, and proximity sensor. Connectivity options on the device include 4G VoLTE, Wi-Fi 802.11 b/g/n, Bluetooth v4.1, Micro-USB with OTG support. The phone measures 143.7 x 70.95 x 8.2 mm and weighs 144 grams. It gets power from a 3,020mAh battery. 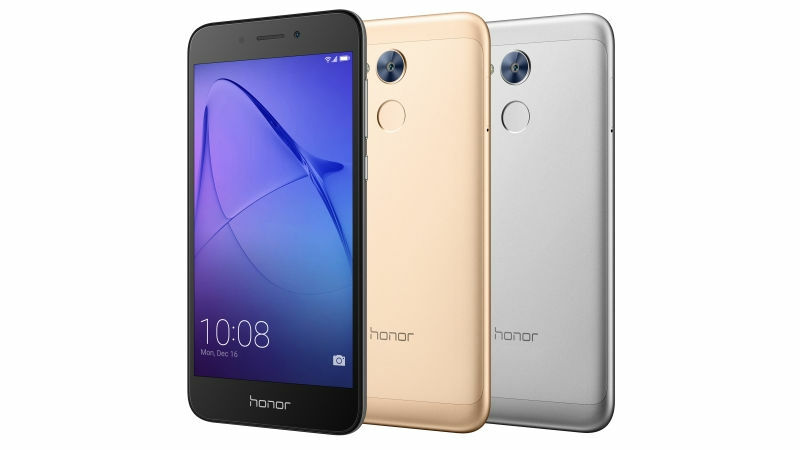 The Honor Holly 4 has been priced at Rs. 11,999 and it is available in Gold, Grey, and Silver color options. It will be made available to purchase from offline Honor partner stores across India from October 3.